Why the prolific restaurant critic, A.A. Gill, found breakfast to be one of the very few things that link every one of us to everyone else. “Breakfast – simple, elaborate, hurried, deliberate or skipped – is an unconsidered moment of global communion." Our fine crystal Rummer glasses are inspired by Georgian/Regency design and are exclusive to The Wolseley. Rummer glasses became very popular towards the end of the 18th Century and are characterised by a capacious bowl, a short sturdy stem and a wide foot. Our glasses have open bowls, a single knop in the stem and a hand-formed foot, the base of which has been delicately engraved with The Wolseley monogram. Produced in a glass factory that has been in existence for almost 100 years and considered one of the best within Europe, our crystal wine glasses are made by hand using traditional glass blowing methods. Consistency of shape is achieved through the use of carved wooden moulds, made from a fruit wood such as pear, into which the bowls are blown. 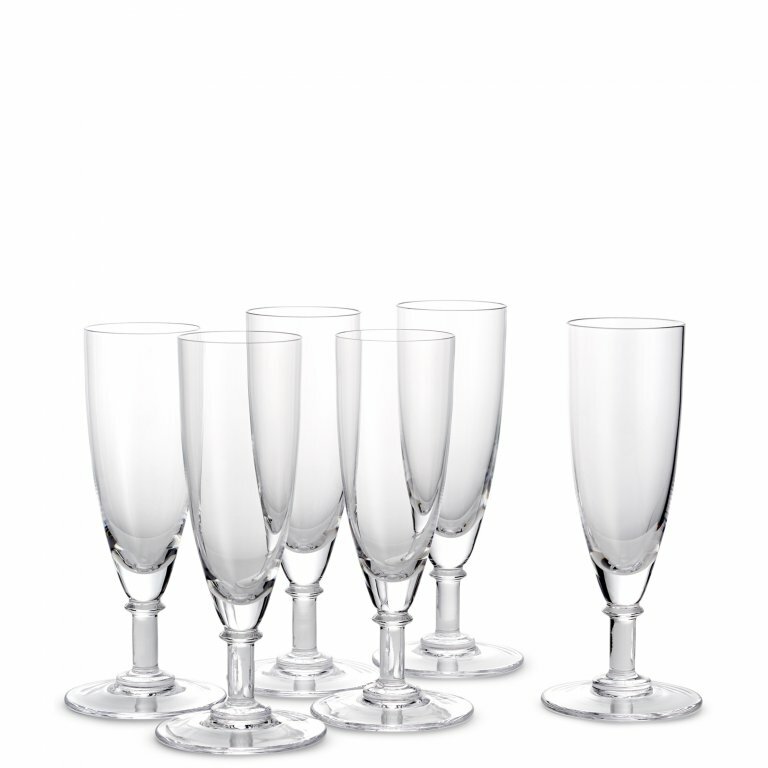 Our crystal glassware is lead-free, with the addition of a metal oxide to add a little weight and give the glass its wonderful colour and brilliance. Learn more about the vineyard behind our wine and the story of The Wolseley’s iconic glassware. Château La Tour de By ~ This iconic, family-owned estate in the northern Médoc region boasts over 90 hectares and is beautifully situated with far-reaching views over the Gironde. In 1965, the property was bought and developed by Marc Pagès, and it is now run by two of his grandsons – Frédéric Leclerc and Benjamin Richer des Forges. The blend of the Grand Vin comprises 60% Cabernet Sauvignon, 35% Merlot and 5% Petit Verdot, with the average age of the vines being well over forty years. 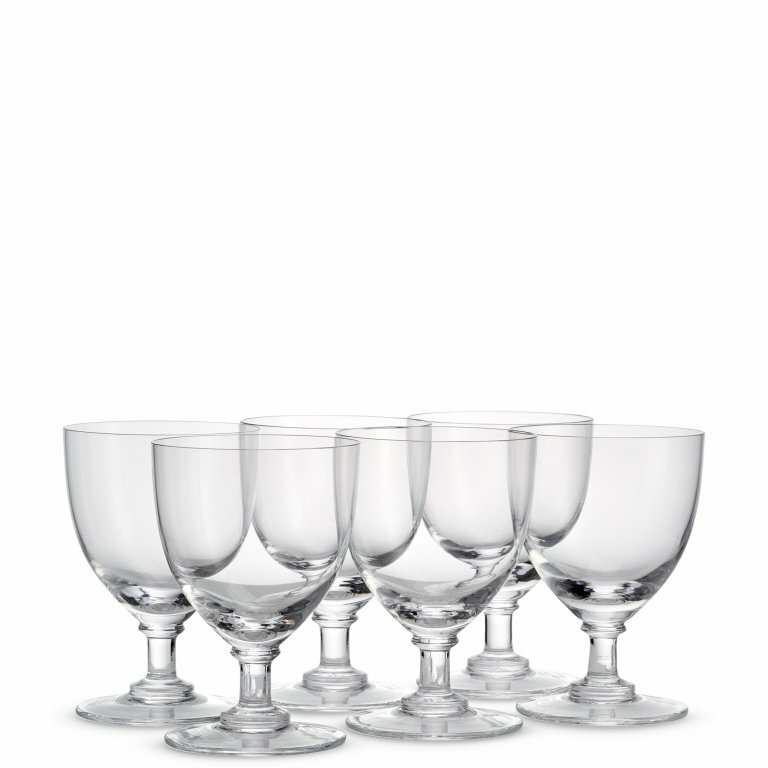 The Wolseley Wine Glasses ~ Our fine crystal Rummer glasses are inspired by Georgian/Regency design and are exclusive to The Wolseley. Rummer glasses became very popular towards the end of the 18th Century and are characterised by a capacious bowl, a short sturdy stem and a wide foot. Our glasses have open bowls, a single knop in the stem and a hand-formed foot, the base of which has been delicately engraved with The Wolseley monogram. Domaine André Dezat & Fils ~ The Dezat family is one of the oldest wine-growing families in Sancerre, with records dating as far back as 1550. In 1948, André Dezat took over the family vineyards and became actively involved in promoting the wines of Sancerre. In the 1970’s, he was joined by his sons, Louis and Simon, and grandsons Arnaud and Firmin now work for the estate, too. Our Sancerre is made from the Sauvignon Blanc grape and comes from vineyards with a combination of 65% pebbly limestone, 25% calcareous clay and 10% flint. Domaine André Dezat & Fils ~ The Dezat family is one of the oldest wine-growing families in Sancerre, with records dating as far back as 1550. In 1948, André Dezat took over the family vineyards and became actively involved in promoting the wines of Sancerre. In the 1970’s, he was joined by his sons, Louis and Simon, and grandsons Arnaud and Firmin now work for the estate, too. Our Sancerre is made from the Sauvignon Blanc grape and comes from vineyards with a combination of 65% pebbly limestone, 25% calcareous clay and 10% flint. Château La Tour de By ~ This iconic, family-owned estate in the northern Médoc region boasts over 90 hectares and is beautifully situated with far-reaching views over the Gironde. In 1965, the property was bought and developed by Marc Pagès, and it is now run by two of his grandsons – Frédéric Leclerc and Benjamin Richer des Forges The blend of the Grand Vin comprises 60% Cabernet Sauvignon, 35% Merlot and 5% Petit Verdot, with the average age of the vines being well over forty years.